PIVÔ, a São Paulo-based, non-profit cultural association that promotes artistic experimentation, presents Haroon Mirza's first exhibition in Brazil from 5 July until 13 August 2016. 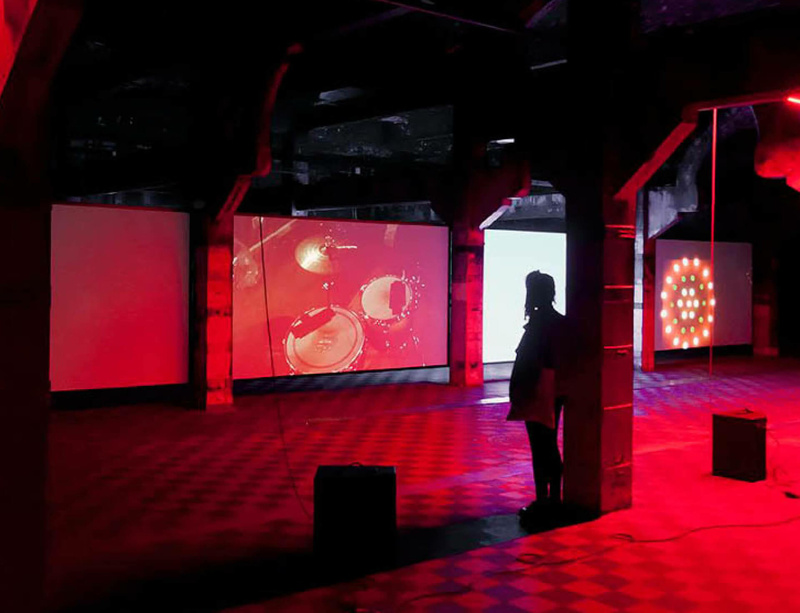 The exhibition features a site-specific installation powered by ‘Emerging Paradigm’, a device made by the artist that concentrates several channels of light, sounds and videos into one machine. The installation is a result of a residency in São Paulo, where Mirza has spent two months conducting research and capturing images and sounds to fill the device, which will play up to four videos and eight channels of electric signals in synchronization. The videos reflect on the current political climate in Brazil, the local culture of music, Entheogens (plants that have psychedelic properties like the ones used in Ayahuasca) and developments in Physics and Cosmologics. Image © Haroon Mirza; Courtesy of Matadero Madrid. Photography: Paco Gómez.